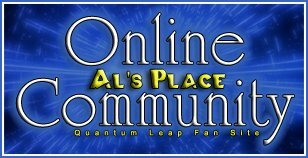 Quantum Leap Season 1 & 2 DVD Rerelease by Mill Creek Includes Original Music! I'm sure most of you have got DVDs of some sort by now, or are considering upgrading to the HD versions (I highly recommend), but if you've not yet - or you're thinking about birthday presents for new fans - the recent Mill Creek release of the first two seasons may be of interest. 1. Genesis is presented as a movie, although the disc art describes it as "Part 1" and "Part 2". 2. Play it Again, Seymour features the correct opening credits (the original DVD release used the syndication version in error, with the later opening). 3. There are 6 episodes to a disc on the second season. It's therefore a little over-compressed, and quality junkies will be disappointed. It's not too obvious though, and your average viewer will be quite happy. 5. ORIGINAL MUSIC. To be fair, I've only checked the obvious one - M.I.A. has Georgia present and correct. I'll have a look through the rest later, but that's a very good sign. 6. Repeat-leaps are still unfixed. I'm basing this on a check of All-Americans which leaps into The Color of Truth, not Her Charm. For me this isn't an issue as it's "as transmitted", but I know this bothers some people. 7. They appear to have used the HD masters to prepare these. A Portrait for Troian is significantly zoomed in on the HD versions in error, but not on the original DVDs. The Mill Creek DVD repeats the error and is zoomed. Aside from the Troian issue, though, this is *generally* a good thing as the HD scans are excellent (although it will mean should Mill Creek continue, they might include that dodgy green leap in for Hurricane). That's it for now... If anyone has any questions about the set, let me know and I'll be happy to answer. Thanks for the interesting report! I've heard of Mill Creek re-releases which pack a lot of episodes per disc but in this case it seems to be an improvement over the Universal boxes. ... If anyone has any questions about the set, let me know and I'll be happy to answer. Hi Matt, is there a list all the issues with the DVD and digital SD/HD releases? Has anyone contacted them about this? I'd hate it if the blu-ray pack suffers the cropped issue. For completeness sake, here are shots from the same scene on Amazon Video and Blu-ray. There is a crop issue but the color is better on Blu ray!